These tips contain specific ways for teachers to free up time. With a little upfront time investment, you will be surprised at how much time you free up to do what you love, teach. Curriculum Maps: Map out your entire year, aligned with national, state, and school district standards. Who’s got time for that? You do. A little bit of time on a regular basis adds up. You’ll never end a unit again without knowing what’s next. If mapping out the entire year seems overwhelming, begin with the first semester, first quarter, or first month. Once it’s done, planning becomes a breeze. Lesson Plans: Have at least two weeks worth of lesson plans. Have a set of emergency plans for substitute teachers. The common cry of the mediocre teacher is lesson plans stifle creativity. It’s much easier to be relaxed and creative when a plan is in place. Having goals and benchmarks lessens the temptation to waste an hour or two in class. Student Secretaries: Nothing annoys more than students pestering you for make up work. Put the responsibility on them by utilizing a student secretary. Assign a student in each class to fill out a form every day that details the lesson objective, work assigned, work collected, the opening activity, and the closing activity. Keep it in a three-ring binder with relevant handouts. When a student is absent and requests makeup work, point to the binder and smile. Start of the Class Routine: Class begins when the bell rings. A quick assignment on the board allows you to take attendance, handle administrative duties, and catch your breath. It also helps students focus on the day’s lesson. Completed Work: Set up a filing system for completed work. Assign an assistant secretary to pass back papers. Important Friends: Get to know the important people at your school: the custodians, the librarians, the computer guy or girl, the person who schedules labs, the copy guy or girl, etc. Bring them cookies, talk to them, and treat them well. You’ll not only make a friend; you’ll get great service. Preparation: Never leave for the day without having everything ready for the next day. Write activities, objectives, and notes on the board. This is especially critical before a long weekend. Health: Take time for regular exercise, and prepare healthy meals. It takes a slug several hours to do what a cheetah can do in a few minutes, like eat the slug, for example. Vacations and Weekends: Use weekends and holidays to recharge. Once you’ve developed the habit of completing your work before you go home, you’ll enjoy non-work days even more. Because of the positive habits you’ve developed in the classroom, you’ll be able to plan better vacations. Professional Responsibilities: Only look at work related e-mail when you have time to respond. Don’t go to your mailbox without a pen. Sign things, file things, and send things immediately. 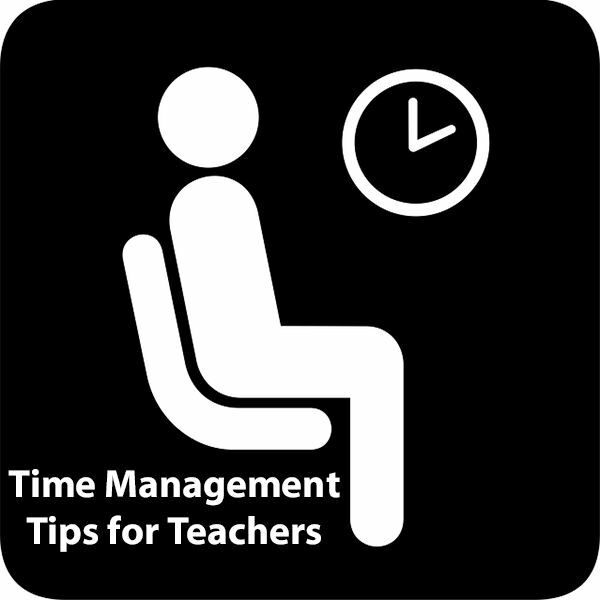 Implement these time management tips and make teachers and time friends once again.